As the Path to Value program wraps up, we’ve put together a full list of the research findings, papers, and graphics. The overriding theme of this work is that companies need to plan for every phase of cloud migration if they are to realize the full benefits of this new approach to information technology. We hope the data, action items, and real-world experiences documented here will help businesses make the transition as smoothly—and profitably—as possible. The Path to Value landing page, which includes all of the materials produced during the project. Our cloud Trailblazers, the group of survey respondents who are ahead on their path to value in the cloud, are far more likely to have migrated business functions to the cloud. They’re also seeing clear benefits from cloud adoption. To what extent do cloud and managed services provide you with the following benefits today? (Top-2 box scores) Click to enlarge Nearly all Trailblazers are seeing increased collaboration among business units, improved customer service, and collaboration. Next we will look at how our cloud leaders are quantifying success in the cloud. 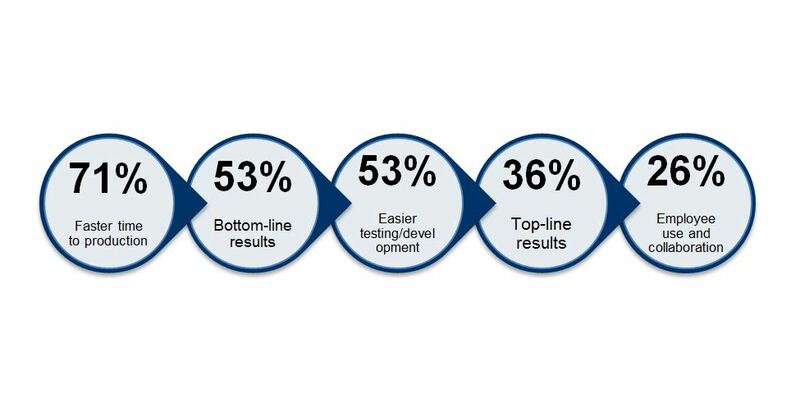 How do companies measure cloud success? 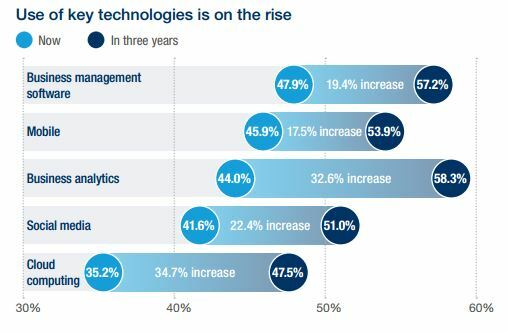 We’ve already seen the wide range of business functions that companies are moving to the cloud. But once that migration is complete, how are these companies quantifying cloud success? 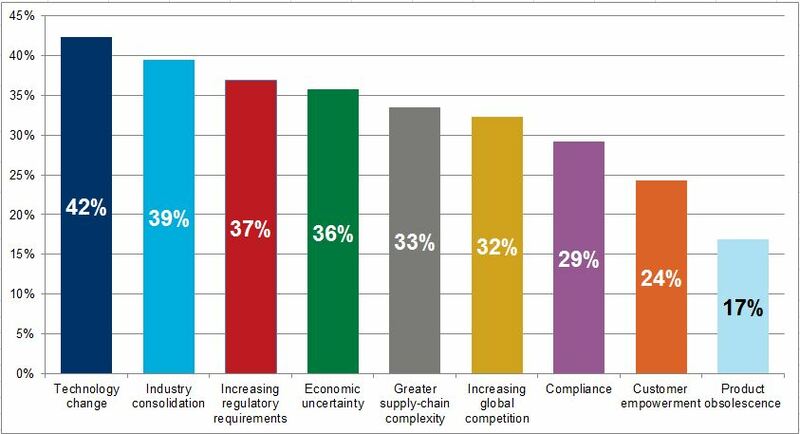 The 350 business and technology executives we surveyed cited a variety of metrics. How do you quantify success in the cloud? Select all that apply. We saw in another question that respondents see collaboration among business units as a major benefit to cloud adoption, both today (63%) and in two years (83%), yet collaboration is not described here as an important measure of success. While companies may be sophisticated in migrating business functions to the cloud, they may not have a fully mature view of the benefits and successes a cloud migration can bring. Why are smaller companies late to the cloud? A recent survey shows that SMEs are slow to adopt the cloud; only 28% of the 400 SME respondents have implemented cloud solutions for their businesses. These data roughly track with the findings from a previous Oxford Economics survey of SMEs; as you can see in the chart below, we found that 35% of SMEs worldwide were using the cloud last year, which will increase to 48% by 2016. 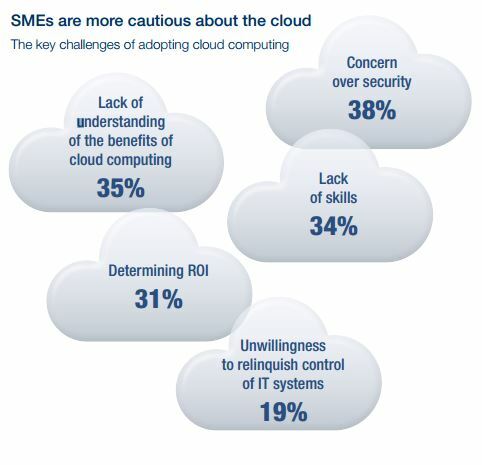 Yet SMEs could reap a lot of potential benefits from moving to the cloud. Our survey found that technology is key to a SME’s business transformation; cloud’s scalability and low cost allow companies to roll out social, mobile, and analytic innovations more efficiently, all of which drive customer engagement and improve product and service development. Our survey found that the top barriers for cloud adoption were security concerns, closely followed by a lack of understanding of the benefits of the cloud, and a lack of skills. Our latest cloud survey—the core of the Path to Value program—shows that some of these issues are still hindering cloud adoption. More details on that soon. Mid-size firms in Australia are falling behind the rest of the world in cloud adoption, says Intel’s managing director in that country, Kate Burleigh. Speaking at a “Momentum for the Mid Market” event, Burleigh said that although smaller companies—those with revenues between $10 million and $250 million—are consuming a lot of technology, they are failing to innovate, which spells trouble for companies wanting to spur growth. Kevin Ackhurst, Enterprise Google Australia’s managing director, stressed cloud adoption as a key factor in company growth and said companies need to rethink the way they invest in IT. As the nature of IT changes, the conversation needs to be less about budget and more about using technology to meet business needs. Our survey data shows how US companies are dealing with cloud migration. We’ll be sharing some of those results soon. An interview with Miao Song, CIO of the Singapore-based Golden Agri-Resources, discusses her company’s migration to the cloud. One of the biggest benefits? The cloud frees up time so the CIO can be “part of the business, rather than just an IT leader,” Song said. Hybrid clouds are on the rise, especially for IT systems used by the government. A recent study predicts that the federal government will spend nearly $9 billion on cloud computing by 2017. 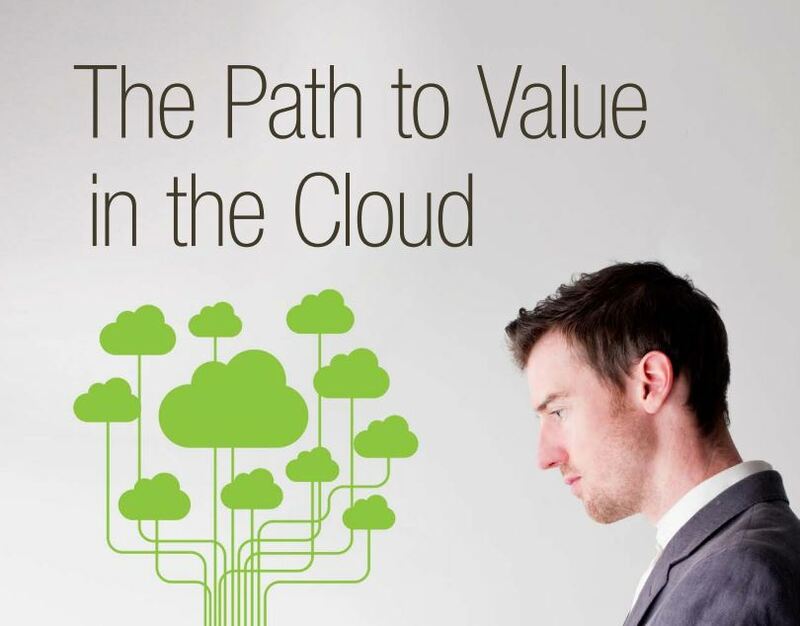 Additionally, by 2015, 75 percent of large enterprises are expected to have hybrid clouds. Five reasons cloud skills should be on everyone’s resume. Topping the list: Professional and industry best practices are embedded in cloud services and cloud offers rapid iteration and experimentation abilities. Migrating to the cloud gives you the flexibility and agility to innovate successfully.